Blue nose pit bulls are an extremely popular, and well sought-after, color of pit bull that is extremely popular right now. 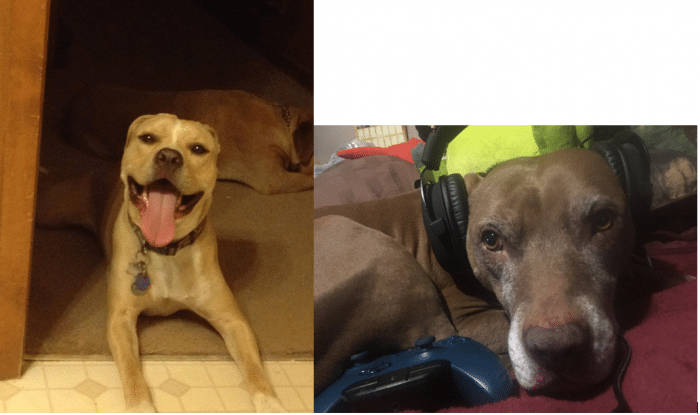 While pits may have a very bad reputation, these dogs are very loving, kind hearted, and loyal additions to the family. 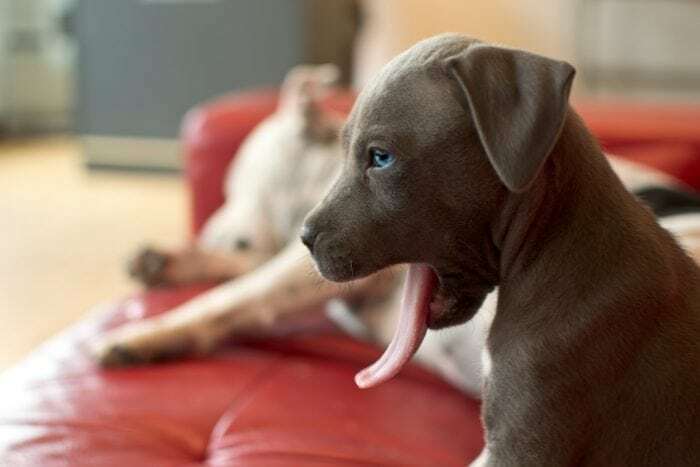 Blue pits are not a different breed or type of pit bull, instead, they are a color of pit bull that people have fallen in love with that breeders have unfortunately have taken advantage of (some have resorted to inbreeding to keep the beautiful color going). 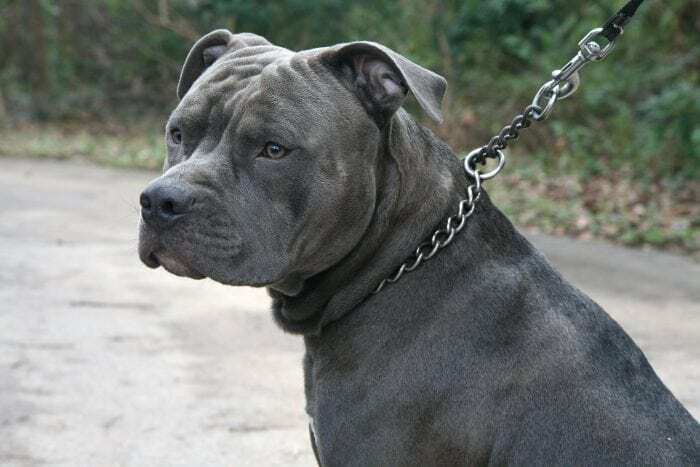 To learn more about blue pits, and pit bulls in general, check out this guide. One of the first things to say is that pit bulls are not necessarily inherently more aggressive than any other breed of dog. In fact, there is no actual pit bull breed. Instead, the term pit bull encompasses 4 breeds: the American Pit Bull Terrier, American Bully, Staffordshire Bull Terrier, and the American Staffordshire Terrier. Oftentimes (and by oftentimes we mean most) mixed breeds that even remotely resemble any of those 4 breeds are labeled a pit bulls. Pits were bred as bait dogs for bullfighting in Great Britain, but when that was outlawed people began breeding them for dog fighting. Even though dog fighting is now illegal, they are still used for dog fighting because of their strength of devotion to their owners. These dogs are truly loyal to a fault and will do what they can to make their owners happy, even if that means injuring themselves. Because their owners can instill a certain amount of aggression in these animals, other people can get hurt. You may hear the quote said “there are no bad dogs, just bad owners” and to a degree it is true. These dogs are a product of their environment, just the same as humans are. What Are Blue Pit Bulls? Blue nose pit bulls have recessive genes, meaning that their traits are very rare and hard to come by. Their characteristics are very recognizable, they have gray skin, blue or gray eyes, and light gray nose, and light colored nails. The reason just about everything about these pups is a light gray color is because of the recessive genes. Those genes trigger a decrease of melanin, the pigment responsible for skin coloring. To get a blue pit both sets of parents have to have recessive genes to pass down to their pups. As most of you probably remember from biology classes, chances are rare of that happening. Some breeders have, unfortunately, started inbreeding these dogs to get the desired look people are after. So, when looking for a blue pit please make sure you are getting one from a reputable breeder! Blue pits are absolutely beautiful pups, but at the end of the day, they are no different from any other pit bull. Blue pits are NOT a breed or type of pit bull, it is simply a color that a pit bull can have. Again, these are just some of the health risks associated with inbreeding. The breeders who do this practice only care about the look of the dogs without caring about the temperament of the dog. If you haven’t been around pit bulls then you might have a skewed perception of them. In general, pit bulls are very gentle and kind-hearted. Yes, they can be big and bulky, but once you get to know them they are big goofballs who love their families and love snuggles. If you are considering getting a pit but have any hesitations or concerns about aggression, get a puppy so you can mold it and ensure that it is well socialized. Puppies are easier to train and are easier to discipline. That being said, there are thousands upon thousands of pit bulls in shelters across the country who are in dire needs of homes. Every day hundreds of pit bulls are put to death without even given a chance at getting a home for the sheer fact that they’re a pit. So, before shopping for a pit bull, please look at adopting a dog from a shelter and saving a life. Some of you might recognize the show on Animal Planet called Pit Bulls and Parolees. If you aren’t familiar with it, the show follows a pit bull rescue named Villalobos, which hires prison parolees, and they rescue pit bulls. These dogs can be in bad situations, running in the streets, found locked in vehicles, you get the point. In this one episode, Villalobos rescued a pit bull they named Roxy. Roxy was very aggressive and was virtually un-adoptable. Roxy was really what you would picture as the stereotypical aggressive pit bull trying to attack humans. 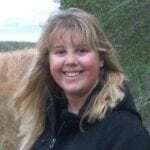 One day, Roxy’s previous owner contacted Villalobos saying she had lost Roxy and would like her back. The rescue was hesitant but agreed. Below is the video clip of Roxy meeting her previous owner. Unfortunately what you don’t see in the video is how unhappy, aggressive, and uncontrollable Roxy was before seeing her owner. But, this video truly sums up the amount of love, loyalty, and devotion these pit bulls have to their owners. Blue nose pit bulls are beautiful dogs, but you need to make sure that you get them from a reputable breeder to ensure that your pup is happy and healthy. Pit bulls overall are good dogs that are loyal and devoted to their families, and many pits are in dire need of help. If you are considering getting a pit bull then please consider going to your local shelter and meeting some of the dogs there. You just might find your new best friend there. I have 2 rescued pit bulls, Bentley and Lennox. They are the sweetest, loyal, and most loving dogs you will ever meet. Lennox is actually a red nose pit bull, another type of pit similar to blue nose pits.